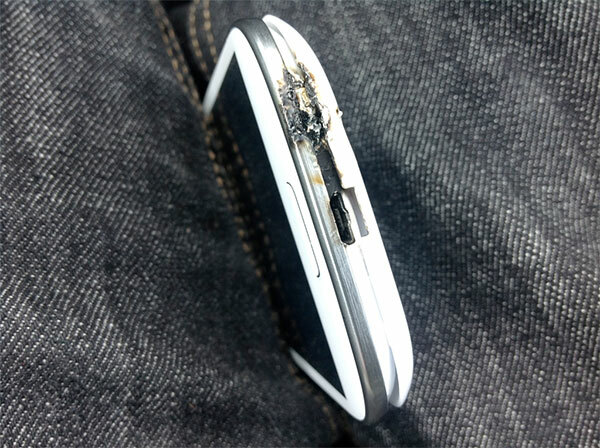 Galaxy S3 Explosion was a fake! Samsung Calls Foul Play, Owner Admits ! After the whole Galaxy S3 explosion story went all over the world, Samsung went ahead and investigated the issue, it turns out the explosion was actually a way for the owner to get a replacement. After Samsung and a Third Party investigation was concluded it appears that the explosion occurred as a result of “external energy” being applied to the device, not anything from within the phone itself. The original poster dillo2k10 has posted an update on Boards.ie, indicating it was a mistake by someone else in an attempt to recover the phone after it got wet. Fire Investigations UK reports on finding that the phone itself was not responsible for generating the heat that caused the damage. So now owner and potential buyers can breathe easy.